Q. 想问问 VA 的 eviction law 是多久不交房租就可以 evict? As a landlord, you probably don’t want to deal with eviction. If you keep giving tenants “second chances” trying to solve the issues peacefully, you need to stop and reevaluate the situation. One second chance is usually enough to tell you whether the problem tenant straightened out. Putting off eviction any further means you are losing money – don’t forget that you are running a business! When it comes to evicting a tenant, you have a set of rules and laws to follow. Our specialists at Bay Management Group have put together a few tips on how to go through with an eviction. Why does your tenant have to be evicted? You can’t just evict a tenant based on personal aversion or the fact that your tenant filed a complaint or a lawsuit against you. Tenant’s rights are protected by the law and violating them may get you involved in a costly litigation. Here are the grounds on which you can evict a tenant in Maryland. Your tenant didn’t pay rent. If the rent is due on the first of each month and you don’t receive it, you technically can start the eviction process on the second. We recommend talking to your tenant before resorting to this radical measure. Failure to pay on time doesn’t mean your tenant has no money – he or she could have had family emergency or technical issues with the bank. A single instance of late payment is not a reason to evict otherwise diligent tenant. Note: it doesn’t matter if a tenant is deliberately not paying rent because he thinks you are slacking on maintenance and repairs – you can still start eviction. This is a separate issue and your tenant is free to go to court to seek compensation. Your tenant didn’t move out. So, the lease has ended and your tenant is still occupying (a.k.a. “holding over”) your Maryland property. In this situation, eviction is a reasonable outcome. You might already have a new tenant ready to move in, so the sooner you start the process, the sooner you will have your property back. Your tenant breached the lease. Additionally, the State of Maryland can bring action against your tenants if they are involved in illegal activities, specifically drug-related. As you can see, there are quite a few legal issues you need to be aware of – something our Baltimore property managers are trained in and happy to help you with. There is a set of procedures you need to follow in order to remove a tenant from your property in accordance with the law. We’ll cover them shortly, but first let’s discuss what you can’t do. You can’t walk into your tenant’s apartment without notice and demand they’ll be out by the end of the week. You can’t physically or verbally threaten the tenant. You can’t cut off utilities, change locks or remove tenant’s belongings from the property before the eviction process is complete. 1. Whenever possible, especially in the case of a first-time mild offense, try to reason with the tenant. 2. Serve an eviction notice (in writing) that will state the reason for eviction and give a tenant 1 month to vacate the property (14 days if tenant’s presence poses danger to the neighbors and the community). When applicable, include on the notice how a tenant may stop eviction. 3. If upon the date stated in the eviction notice the tenant doesn’t comply, proceed to file a complaint with your District Court requesting an Eviction Order. Here are step-by-step instructions from the Maryland District Court. 4. Attend the trial and bring all the documents proving you have a valid reason to evict the tenant. If you are seeking monetary compensation from the tenant, go here for more details. 5. Once you receive judgment against your tenant, he or she has 4 days to appeal. If they don’t appeal, you can file a Petition for Warrant of Restitution with the sheriff. Once it’s processed, you can schedule an eviction date. 6. On an eviction day, you need to have movers ready to rid your property of tenant’s belongings. 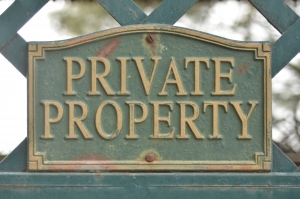 The belongings are left on the public property and are now the responsibility of the tenant. The entire eviction process may take anywhere from 2 to 6 months. And during this time you might not be getting any payments from the tenant. Of course, you can attempt to recover your losses through court, but this may take even longer. As aBaltimore property management company, we know that eviction is often a necessary measure. However, you should take every step to avoid it, and the first one is thoroughly screening your tenants. A complete credit history, reference and background check are crucial for finding reliable and responsible tenants. Take the time to conduct tenant screening or call us and we’ll help you manage your Maryland property.